FWPA’s R & D manager, Chris Lafferty, said Australia’s woodchip and wood pellet exports totalled 7.495 million bone dried metric tonnes (bdmt) in the past year. Most of this tonnage was woodchips and 97,497 tonnes was wood pellets. “None the less, our wood pellet exports are growing and their future looks bright,” he said. Dr Lafferty said US industry analyst FutureMetrics argued in a new white paper that countries serious about lowering CO2 emissions from the power sector should use wood pellets as a replacement for coal. The research used England as a real-world example of how pellet-fuelled pulverised power stations could be part of the solution to lower CO2 emissions. Pulverised coal, also known as powdered coal or coal dust, is as fine as face powder in cosmetic make-up. FutureMetrics said most of the power in the UK generated from pellets was by Drax Power’s power station of six 645-megawatt units. At 4000MW, it is the largest power station in the UK. Four of the six units were fully converted to use wood pellet fuel, while the 396MW Lynemouth power station had also been converted from coal to pellets. FutureMetrics said in October, strong UK biomass output had pushed some combined-cycle gas turbines (CCGTs) out of the generation mix. Drax ramped up output during peak-load hours to capture higher prices, with biomass output averaging 2.3 gigawatts for most of the month. 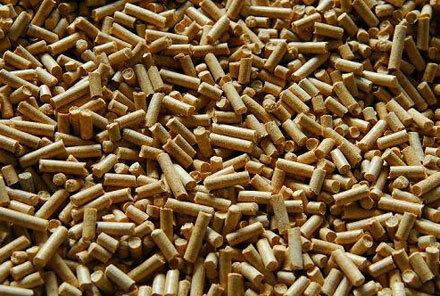 “This clearly demonstrates that using renewable low-carbon pellet fuel for power … provides reliable on-demand base load and peaking capacity,” FutureMetrics’ report said. Dr Lafferty said, however, using wood pellets was not all smooth sailing. “Wood pellets, especially when they are fresh, are chemically active and can emit significant quantities of carbon monoxide,” he said. Dr Lafferty said to handle wood pellets, European terminals had to be substantially. Issues included dust emissions and explosions, degradation in storage, self-heating and ignition. “These factors need to be considered in the design of dedicated wood pellet port terminals, as demand for this biofuel increases,” he said. Dr Lafferty said these redesigned terminals would be needed by 2030 to cater for increased volumes.